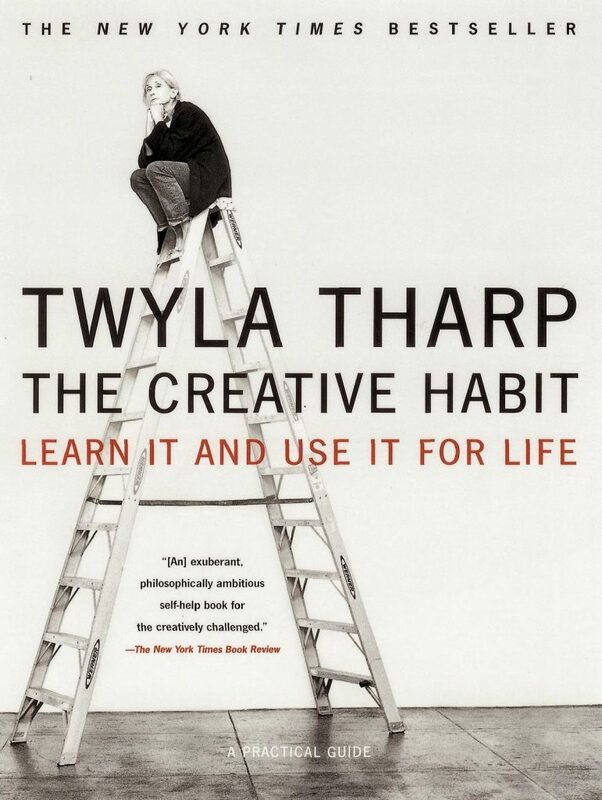 The Creative Habit by Twyla Tharp is a brilliant book that helps us all be that little bit more creative. The book promises that “all it takes to make creativity a part of your life is the willingness to make it a habit”, and after a quick flick through The Creative Habit, it’s difficult to doubt this. I’ve read it several times now, each time annotating and taking more notes than before. In this post I’d like to write about Tharp’s idea of reading “archaeologically”, or backwards in time. As readers, it’s something that many of us do automatically. So often I find myself reading a recent novel and then researching the texts that inspired it or led to its creation. This, according to Tharp, is archaeological reading. Tharp will start with a contemporary book, move on to a text that predates that book, and so on until she’s reading the most ancient texts and the most primitive ideas. An example is The Birth of Tragedy > Carl Kerenyi’s study of Dionysos > Euripides > The Baccae > Historical sources. If it’s a novelist’s body of work, you’ll learn more about the author’s recurring themes, philosophy and style, but you’ll also see it from an entirely different point of view. If it’s a particular subject, go back to the writer’s original sources. Not only will the distance you’ve travelled with the author intrigue you, but you will also get to grips with the original idea in its ancient and most unadulterated form. Try not to simply read one novel, but also add related texts surrounding the novel to your to-read list. This may include books by the writer’s contemporaries, commentaries on the novel, a biography of the writer, or the writer’s letters. It’s a compulsive way to read, yes, but you’ll get so much more out of every book. This is the opposite of a chronological approach (for instance, starting with Dostoevsky’s earliest works and ploughing through to his last writings). The chronological process has the benefit of the reader growing up with the author, as it were, while “archaeological” reading has a much more detective-like feel about it. Tharp states that the archaeological method allows her to read “transactionally”, scribbling all over the book (debatable) to make the text feel like her own. As a result of her reading dig, she can form developed opinions and conclusions and thoroughly get to know an author and his or her work. This is remarkably similar to my natural style of reading, although I could often deal with researching sources and related materials more. Do you do it already, or do you prefer to read chronologically? Have you read The Creative Habit to get your own creativity going? I think I tend to read archeologically whenever I have time, but I was not doing it consciously, I just can get obsessed wtih an author or a theme too easily. Just recently I read "Z" a historical novel on Zelda Fitzgerald and I'm now reading a book about flappers and can't wait to read "Save Me The Waltz". It's a great concept and very similar to how I conduct any research, especially academically. I highly recommend it! approach makes the most sense. This is an interesting idea. I've thought a lot about reading an author chronologically (though I've never done it) to observe her growth. But I've never considered this approach. I suppose reading later, richer works first could help you understand the earlier works more fully. I completely agree with the correlation you've made between getting obsessed with an author/theme and reading archeologically! I also have a very similar approach when I'm writing an academic piece… it would be interesting to consider applying this to novels I read for fun. I keep picking up "Z" when I'm in bookshops – I'm sure I'd enjoy it! I'd love to know more about Zelda Fitzgerald. Chronological reading also makes more sense to me, I have to say. However, the idea of the archeological approach seems so much more exciting! I love the thought of reading a novel and then going back in time (as it were) and finding all kinds of sources and influential texts. Perhaps a mix of the two is best for most readers – I'll be sure to observe what I choose to do in the next few months. Thanks for the comment, Steph 🙂 That's a good point – the archeological approach certainly allows you to move from what an author worked to be in their career back to their roots. However, for some authors (particularly Russians, I'm sure), starting off with dense, complex texts could be a challenge! I just read your comment in my blog and you are right, this post is perfect for what I'm doing right now. I'm also an archaeological reader, right now I'm reading a history book about The Tudors because I want more context on the setting of Wolf Hall and Bring Up the Bodies. I love context haha. I think is a translator thing, context is everything. I definitely agree that it's a translator thing… I'm sure my translation tutors would too! "Archeological" reading is such an exciting way to find out more about recent novels, and I've found it also does so much to help me understand a topic or idea better. I hope Wolf Hall is going well – I look forward to your final thoughts on the text!